Director Tim Burton is well-known for his ability to create unique landscapes in his cinematic creations. He created such a landscape in Batman and its sequel Batman Returns. 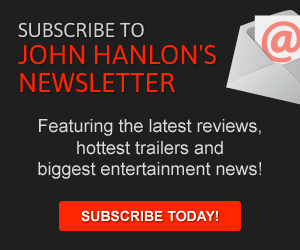 His new film reunites two of the stars from the latter picture and brings them into a world of its own. 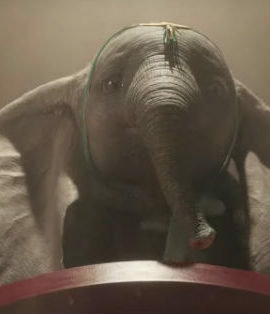 Instead of Michael Keaton starring as Batman and Danny DeVito starring as a penguin, Dumbo features them co-starring alongside the famous elephant. Devito stars as Max Medici, the owner and manager of an underperforming circus. The film begins in 1919 and in one of the opening sequences, war veteran Holt Farrier (Colin Farell) returns to the circus after losing his arm. While he was overseas, his wife passed away and his two children Milly and Joe (Nico Parker and Finley Hobbins) struggled with the absence of both of their parents. Medici’s latest investment in the circus is a pregnant elephant but when she gives birth, the baby comes out with huge ears and big eyes. After a disastrous circus presentation, the young elephant is nicknamed Dumbo and her protective mother is sent away. Elements of this story will likely sound familiar to fans of the 1941 animated feature. That movie, which clocked in at a brisk 64 minutes, provides some of the key elements of the plot here. However, Burton’s new movie — which clocks in at an hour and 52 minutes — features a more in-depth storyline and focuses more on the human characters surrounding Dumbo. Some of the core elements of the story work commendably well. Devito, for one, proves to be the perfect ringmaster, delivering great lines like “Never do anything I tell you without checking with me first.” The relationship between Dumbo and Holt’s two children also firmly sets up a connection between the trio of children who long for the care of their absent mothers. Tim Burton’s landscape also works well in the story and his eclectic mix of circus performers — though underutilized — bookends the proceedings well. There are other elements here though that seem more routine. Keaton, for one, plays a typical rich businessman who only wants Dumbo for his own amusement park. His cruel nature feels one-dimensional and some of his lines (including him shouting “Get those kids” near the end) are undeniably formulaic. The story of Dumbo though is more than the story of the human characters that surround him. It’s about the elephant itself and the screenplay by Ehren Kruger captures that story, creating the emotional resonance this story needs. Kruger knows how to capture the pain of Dumbo’s first public appearance and the subsequent heartbreaking journey for the title character really works. Some of the emotional moments are too intense for young children though. The lesson of Dumbo is an undeniably powerful one. An elephant — mocked for his large ears — finds a way to turn a potential weakness into a strength, surprising the world by capturing its imagination (“You’ve made me a child again,” one of the characters notes while seeing Dumbo in all of his glory). It’s that lesson and Burton’s strong visual instincts that make this live-action Disney feature work well.